In a move to add extra underwriting expertise to its New York team and further enhance its growing presence in Asia, the American P&I Club’s managers have recruited a well-known Asian specialist. 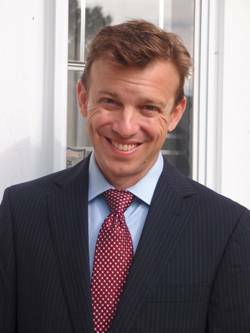 Chris Hall joins Shipowners Claims Bureau, Inc., New York, on September 1. He will be vice president – underwriting, reporting to Stuart Todd as head of underwriting in this capacity. Hall has worked in Singapore and Hong Kong with the Skuld Club since 1999 when he joined its Hong Kong office. Latterly, in Hong Kong, he was vice president, marketing, and senior lawyer. Joe Hughes, chief executive of SCB, said in New York: “Chris not only brings significant club experience with him, but in addition will add to our marketing and general service capabilities in the Asian region in particular. Hall has variously been involved in P&I and FD&D claims handling, underwriting, loss prevention, marketing and line management. He opened and ran Skuld’s Singapore representative office between 2006 and 2009 before returning to Hong Kong.